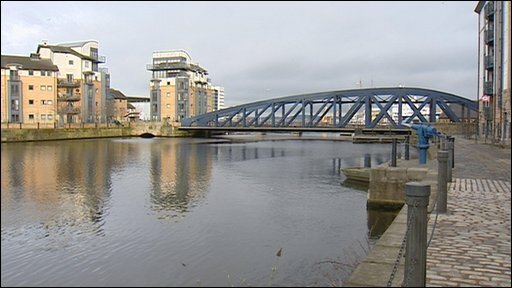 Sir Tom Farmer has spoken out against plans to rename part of the historic port of Leith as Edinburgh Harbour. The multi-millionaire founder of Kwik-Fit, who was brought up in Leith, said he was "most surprised" that Forth Ports would consider such a move. Forth Ports said the name Edinburgh Harbour was chosen for an area of Leith Docks which would include the international cruise ship terminal. About 4,000 people have signed a petition against the name change. Sir Tom, 68, said: "What they have gone for is this name Edinburgh Harbour, which is not going to be applicable to the whole area. "I think there is no need for that. Why do that? "It was bound to raise people's emotions and cause problems. So I feel strongly it should not be done." 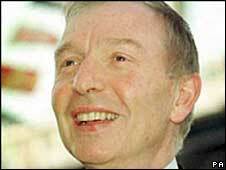 The tycoon said Leith had a "tremendous" history and was known around the world. He said it had managed to keep its own identity despite officially being part of Edinburgh for 90 years. Forth Ports, which owns Leith Docks, said: "The name Edinburgh Harbour was chosen for this area of Leith Docks, which will include the international cruise ship terminal, as it highlights the fact that Leith is the gateway into Scotland's capital city. "Playing on the strength of Edinburgh as a global brand for this key area of Leith Docks will help us attract greater investment into the city, which will benefit all Scotland." Gordon Munro, the Labour councillor for Leith, said: "I think all they have to do is drop Edinburgh Harbour and use the second part of their advertising slogan which is 'Leith Docks, the heart of Edinburgh's waterfront'. "Forth Ports throughout this process have maintained a commitment to connect old and new Leith together. "If they want to connect old and new Leith together I'm sure they'll come out with a compromise that will satisfy both their needs and the community's."